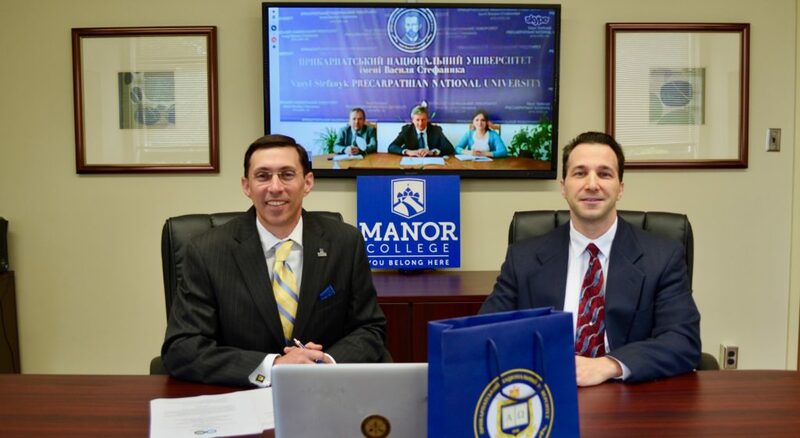 On Wednesday, May 31, 2017, Jonathan Peri, President of Manor College and Dr. Stephen Grieco, Vice President of Academic Affairs met via Skype with Igor Tsependa, Rector and Andriy Zagorodnyuk, Vice Rector of Vasyl Stefanyk Precarpathian National University in Ivano-Frankivsk, Ukraine to sign a first of its kind partnership agreement connecting the two institutions for collaborations. President Peri and Dr. Stephen Grieco, Vice-President of Academic Affairs at the partnership Skype signing with Vasyl Stefanyk Precarpathian National University. For Manor College, being America’s only institution of higher education that was founded by Ukrainians, being founded by The Sisters of Saint Basil the Great in 1947 – this partnership is opening the door for unlimited opportunities of global partnership with other institutions from Ukraine and around the world. This partnership also means that both institutions are to stay connected and in open communication with one another about upcoming events, programs and campaigns – with the hope that administration, faculty and staff from both institutions can be of some assistance to one another in terms of promotion and idea sharing. Manor College welcomes Vasyl Stefanyk Precarpathian National University to their Manor family and is excited to be considered the American hub for Ukrainian institutional partnerships worldwide. 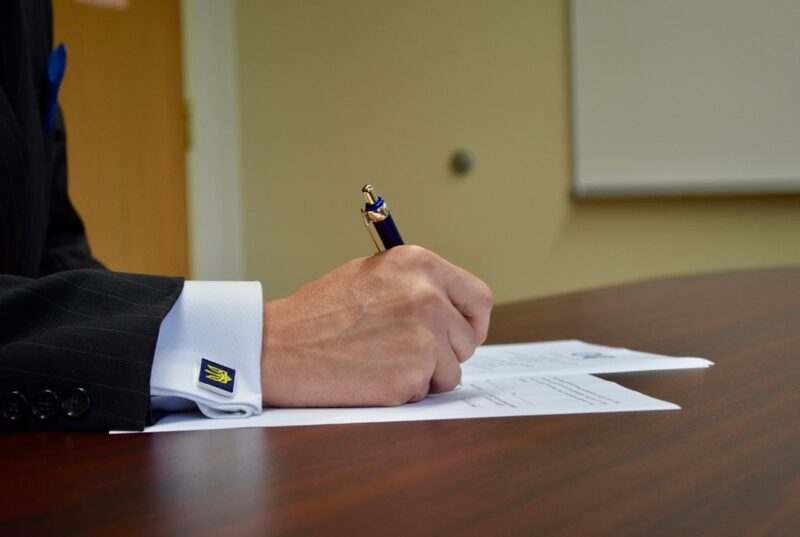 President Peri signs the agreement that makes Manor College an official partner with Vasyl Stefanyk Precarpathian National University, a Ukrainian institution. On October 26, 2017, Manor College will be hosting a Ukrainian Dialogue titled, “Ukraine – America’s Relationship & Moral Obligation” with Congressmen Brian Fitzpatrick and Brendan Boyle. On the same date the college will be holding a ribbon cutting ceremony to unveil the newly renovated Ukrainian Heritage Studies Museum which will include the Maria Mazur Pysanky collection. All are invited to attend the dialogue and ribbon cutting, including Manor’s new partner, Vasyl Stefanyk Precarpathian National University.